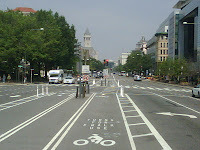 Monday, October 15, 2012, the District Department of Transportation (DDOT) will hold a workshop to discuss the Georgia Avenue corridor study. The meeting is at the DC Housing Finance Agency, 815 Florida Avenue NW from 5p to 7p. Specifically, the meeting seeks input from the public regarding the lower Georgia Avenue corridor between Barry Place and Florida Avenue NW. 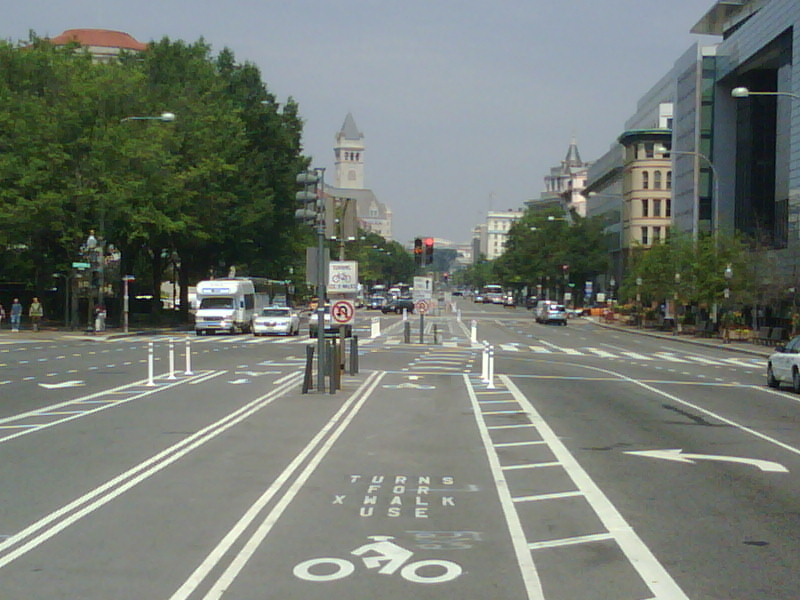 The DDOT study proposes multi-modal improvements along the corridor, which include shared transit-bike lanes that are similar to the those used on 7th and 9th Streets NW roughly between E Street and Mt. Vernon Square. In addition, DDOT has previously posted plans to operate streetcars along Georgia Avenue. This offers an opportunity to include future bicycle consideration for the this corridor.